One year ago today, online file sharing mega-site, MegaUpload, was taken down by the U.S. government. 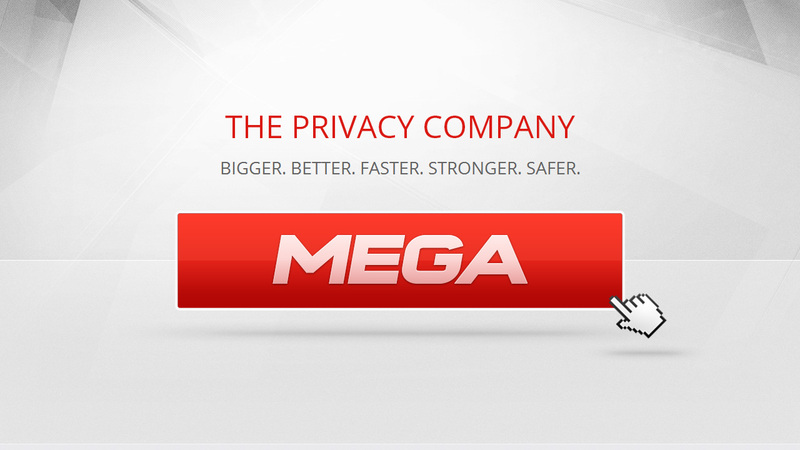 The site’s founder, Kim Dotcom, has been working behind-the-scenes to create an all-new online storage service, simply named Mega. Having launched just a few hours ago, the service gives free users 50GB of online storage space. Paid storage options are also available, ranging from €9.99 for 500GB storage/1TB bandwidth, €19.99 for 2TB of storage/4TB bandwidth, and €29.99 for 4TB storage/8TB bandwidth. One goal of the website is to offer Dropbox-like file storage and synchronization, with desktop and mobile clients supposedly on the way. At the time of this post, their servers are getting hit hard by hundreds of thousands of users who are trying to register and begin uploading their files. If you’re anxious to start using it, it’ll be best to wait several hours for things to stabilize.